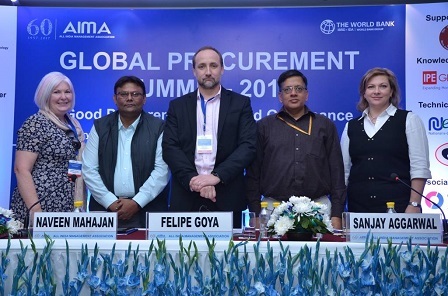 All India Management Association, in partnership with Ministry of Finance, Government of India and the World Bank organized the Global Procurement Summit 2019, on February 7-8, 2019 at New Delhi. The theme of the summit was Digital Disruption and Innovation: Future of Procurement. 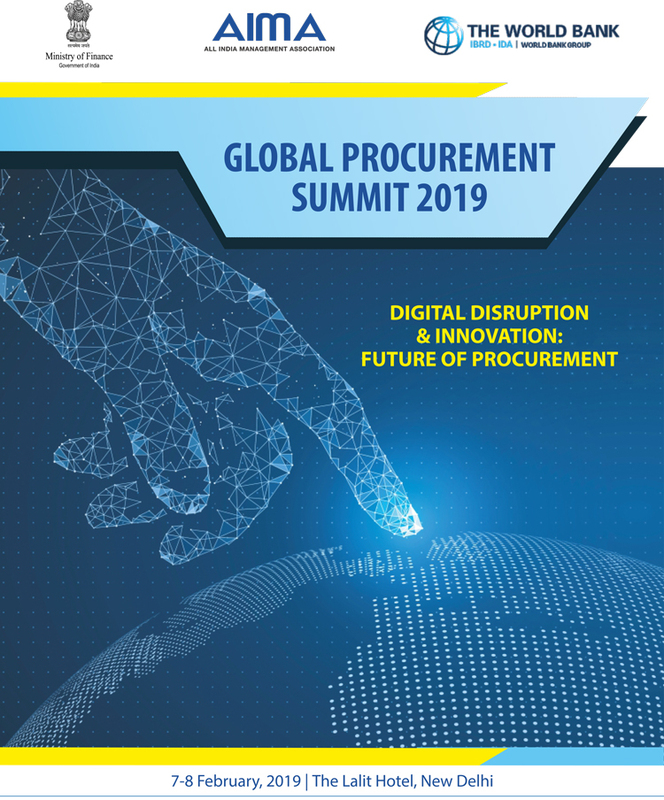 The summit brought together the global and regional procurement community to examine the rise in new technologies, innovation and fast pace of growth in data analytics which has led to the development of procurement. The Summit was honored by the presence of Ms. S Radha Chauhan, CEO, Government e-Marketplace as the chief guest and eminent speakers which includes Mr. Vinay Sharma, Director, Global Governance Practice, World Bank, Mr. Sandeep Verma, Principal Secretary, Government of Rajasthan, Ms. Usha Saxena, Head of Department, e-Procurement Division, National Informatics Centre and Mr. Rajiv Aggarwal, Joint Secretary, DIPP, Ministry of Commerce and Industry, Mr. Sanjay Aggarwal, Director, Department of Expenditure, Ministry of Finance. 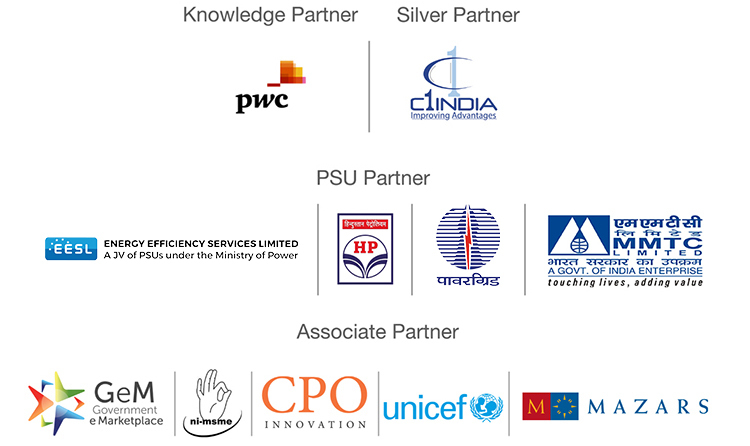 Mr. K C Jha, Addl. Chief Executive Officer, Government e Marketplace, Ministry of Commerce & Industry, Mr. Shanker Lal, Lead Procurement Specialist, World Bank, Mr. Albert Njamen Njanke, Director, Global Dominium Institute, Cameroon, Ms. Tharshinie Prassanth, Director, Department of Public Finances, Ministry of Finance & Mass Media, Sri Lanka, Mr. Rajesh Abrol, General manager/VIMS, Center for Railway Information Systems, Mr. Sanjeev Chaturvedi, Director, NI-MSME, Mr. Chacko Joseph, Vice President and Head of IT Procurement & Finance, HDFC Bank, Mr. Ravindra Sharma, Director- Value Realization, SAP Ariba, Mr. Chenjerani Simon B. Chirwa, Lead Procurement Specialist, World Bank, Mr. Joseph Shine, Procurement Specialist, UNICEF, Mr. Chaithanya Chava, Director, PwC, Mr. Ajit Patwardhan, International Consultant, World Bank, Mr. OP Goel, Panel member, Indian Council for Arbitration, Mr. Amar Gupta, Partner, JSA Advocates and Solicitors, Mr. Ganesh Chandru, Executive Partner, Lakshmikumaran & Sridharan, Mr. Rajiv Kumar Rohilla, Senior General Manager, Power Grid Corporation of India Ltd., Sukhdeepak Singh Waraich, Vice President, C1 India Pvt. Ltd. and Mr. Rajneesh Rana, General Manager (BD & Contracts), EESL were some of the speakers for the plenary sessions of the summit. The summit was well attended by more than 200 delegates from various countries like Africa and Sri Lanka. The topical themes and in depth discussions were highly appreciated by participants. This Summit helped bring into focus many important developments in procurement that countries in the region are presently addressing. 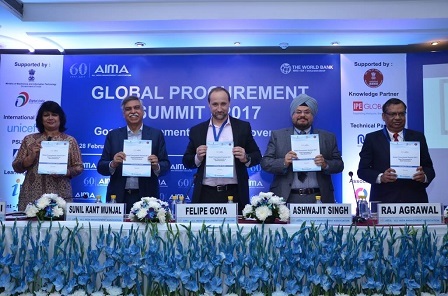 AIMA with support of Government of India and the World Bank organised its 2nd Global Procurement Summit (GPS) 2017 on the theme ‘Good Procurement for Good Governance’ during 27th – 28th February 2017 at New Delhi. 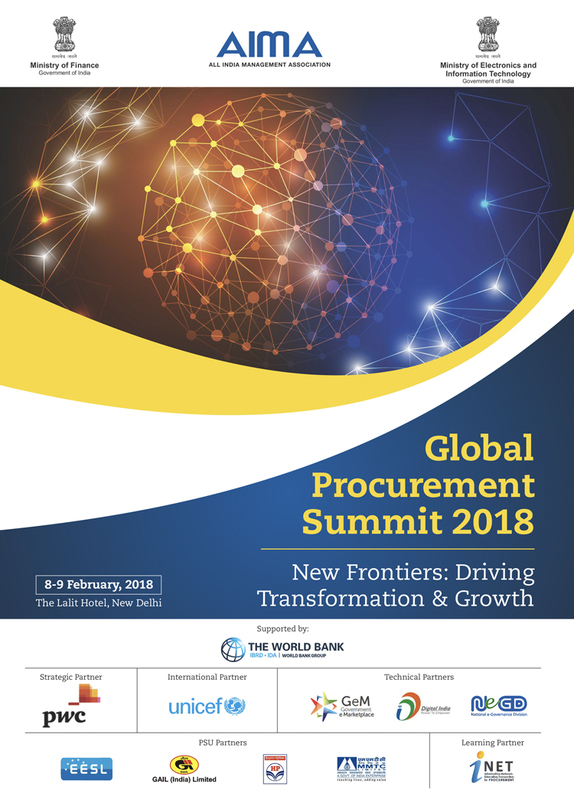 The aim of the summit was to provide a platform for knowledge sharing amongst the procurement exports, exposing newer trends and global practices and to exchange best practices on procurement around the globe. Mr Suresh Prabhu, Minister of Railways, Government of India delivered the inaugural address through video conference and said that he was very happy to see how AIMA is leading the thought process in not just the management space but also on some very key important issues that the country is facing. Mr Sunil Kant Munjal, President AIMA & Chairman, Hero Corporate Service delivered the keynote address. AIMA also launched a certificate programme in Dispute Resolution with technical support of the World Bank during the Summit. The event was well received with 220 participants from 10 countries. The topical themes and in depth discussions were highly appreciated by participants. This Summit helped bring into focus many important developments in procurement that countries in the region are presently addressing.